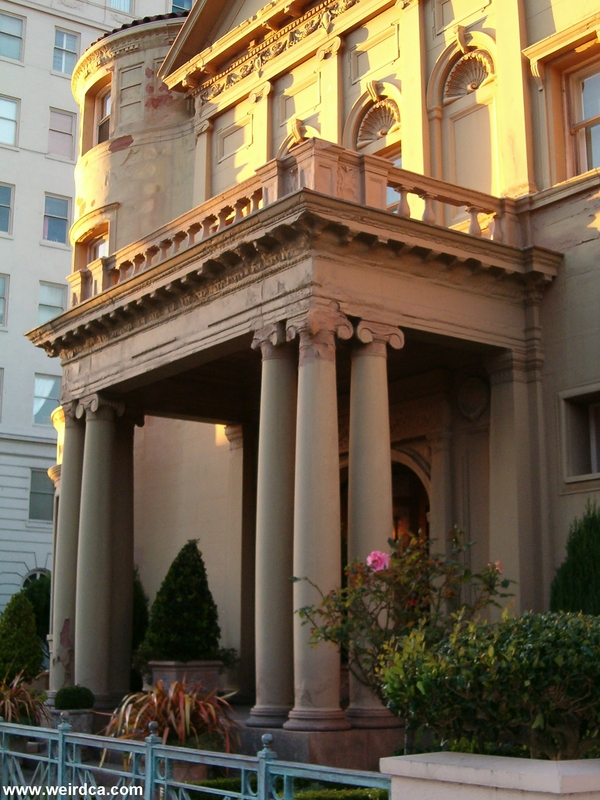 In 1896, William Franklin Whittier built himself a mansion in San Francisco. 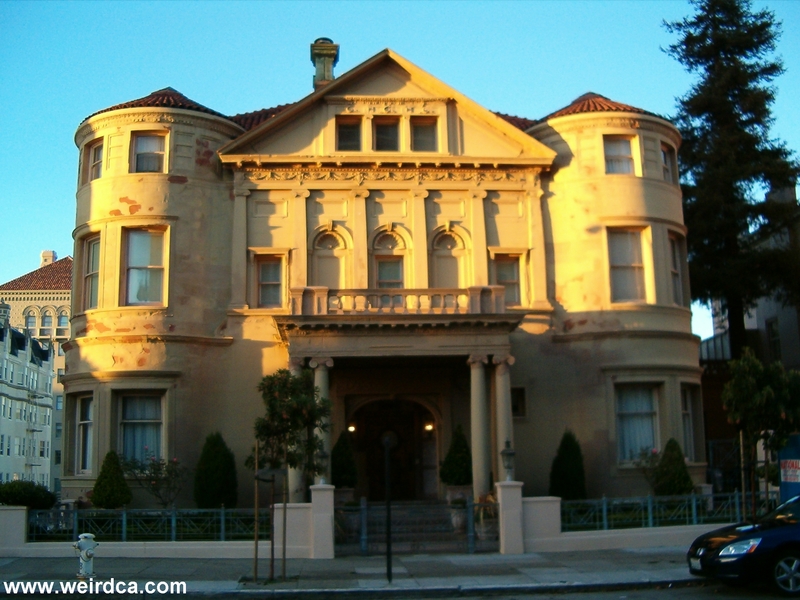 Designed by Edward R. Swain, and costing $152,000 at the time, it was one of the first California residences built of stone on a steel framework. The finished mansion had four levels, each 3500 square feet, plus a fifth, attic level. Thirty rooms made up the mansion ranging from a spacious entrance way to an octagon shaped smoking room. The house was possibly built by Whittier as a gift for his wife, who if the stories are correct, regrettably died in a carriage accident before the house was finished. Whittier made his fortune in shipping, railroading, and mercantilism. He was also one of the founders of the Fuller O'Brien Paint Company, bought by ICI Paints in the early 1990's. William F. Whittier lived in the mansion until he died in the home in 1917 at the age of 85. Whittier's son, Billy, also lived in the mansion with him. Billy lived off his father's money and was incorrigible, lazy, and enjoyed partying a bit too much. He was known for his fondness of wine and women. He stayed in the house until the late 1930s when he sold it to the German Reich. From 1938 until 1941, the mansion operated as San Francisco's German Consulate. German spies perhaps worked out of the mansion gathering information and intel on the area, city, and country. It is believed that they were investigating both the San Francisco Bay itself and the variety of military installations throughout the area. However, in 1941, after war started with Germany, the Alien Property Custodian seized the property, transferred it to the Attorney General of the United States, and nine years later, in 1950 auctioned it off. Mortimer Adler's Philosophical Institute used the building from 1952 to 1955 as a retreat for their scholars and in 1956, the California Historical Society used it as their headquarters. However, now it is once again a private residence. With such a storied history, it's no wonder that tales of ghosts and specters is, of course, also attached to the mansion. Some say that the ghosts of long ago German spies still haunt the mansion. Others say, that the ghost of William Whittier's son, the incorrigible Billy Whittier lurks around the basement, the location of the former wine cellar, still trying to get one last bottle of wine for his endless party. But most people believe that the haunting is that of William F. Whittier, himself, his spirit living on in the house that he built and died in, still pining away after the death of his beloved wife. The basement as well as the servants' quarters has an ice cold presence that brings about strong feelings of unease to those who enter those areas. Several people have refused to be in the basement alone, and a strange shadowy outline of a person has been seen by multiple witnesses in the basement. Is this shadow the ghost of William Whittier? Other ghosts have purportedly been seen as well including a short bald butler lurking on the second floor and a lady sitting in a chair. Who these ghosts are though, no one currently knows. "Billy" was William Robinson Whittier (1869-1921); it was his sister, Martha "Mattie" Smith Whittier Weir (1871-1964), who sold the family home -where she was living at the time as a widow- in 1941. Their is a short bald butler on the 2nd floor around the elevator. People who have worked in the building report a lady sitting on a red lounge chair looking at them on the basement floor.